We are a Bible-based ministry, founded in 1981 to provide Gospel tracts, Bibles, teaching materials to Eastern European nations after the fall of the Berlin wall. 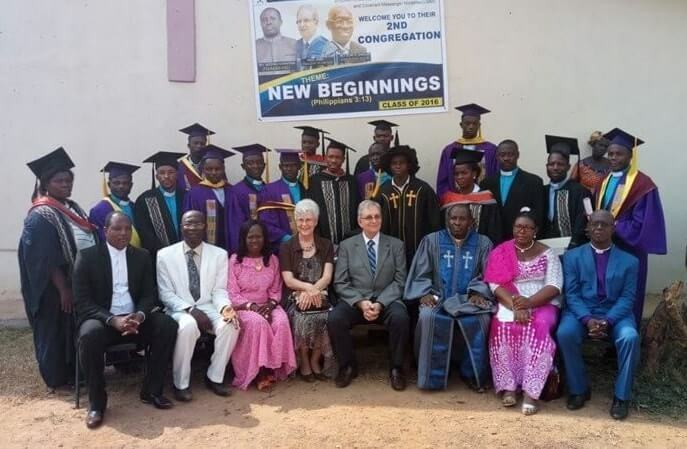 Since then we have based an office in Accra, Ghana, West Africa and are presently assisting Pastors and church leaders in Ghana and Nigeria to establish Bible schools within their churches, utilizing curriculum from the International School Of Ministries. Above is a group photo of graduation participants that took place in January of 2017.